Dr. Marrio Thomas is a native Memphian whose life mission is to help Memphis grow and stay healthy. He believes that educating our community about the mouth is vital to the health of our community. He’s been practicing dentistry in the Memphis Area for over 10 years. You may also find Dr. Marrio on the only Dental Talk Radio Show in the Mid-south on KWAM 990 every Thursday morning from 8-9, doing countless hours at our schools for career days and his “Brush Yo Donkey Teeth” rap shows to educate our children, or spending time with wife, Leslie, and five children. As he serves the community, Dr. Marrio shares his belief that loving your mouth, means you love your body. Dr. Marrio Thomas is also Pann Tennessee Dental Association President. 2014-present. Dr. Valentine Emechete is a graduate of the UT Health Science Center College of Dentistry and is licensed to practice in Tennessee and Arkansas. He is well versed in dental public health, he provides dental services to military troops pre-deployment, and also provides care in a mobile dental practice to residents in nursing homes and long term care facilities. He also volunteers his time at health fairs to provide oral healthcare education and treatment. States Professional Tennis Association (USPTA) Certified Professional. He is actively involved in the Memphis tennis community, and as a member of the board of directors for Tennis Memphis, he supports the drive to use tennis as a vehicle to provide education and diverse opportunities for Memphis youth. Nita is the Office Manager. She is a married mother of 2 daughters. She is a college graduate of Rice College with a degree in Business Administration. She has also completed a series of continued educational courses in Business Management from Pinnacle and MGE. Nita has over 30 years of experience in dental administration. She has worked with Dr. Marrio in some capacity for a number of years, but came on officially with Dr. Marrio Smiles in early July 2015. Erika is the Financial Treatment Plan Coordinator. She is a graduate of Tennessee State University with a bachelor’s of Natural Science. She has worked in the medical field for over 14 years with billing and insurance experience. She has been employed with Dr. Marrio Smiles since August 2015. Alfred is the Clinical Supervisor, and is a U. S. Army Veteran of War. He has over 20 years experience as a dental assistant. Alfred is registered as an Expanded Functions Dental assistant by the Tennessee Board of Dentistry. Credentials are dental radiology, nitrous oxide monitoring, and expanded restorative functions. Marquitta Burton is the Insurance Coordinator. She is the proud mother of 2 beautiful girls. She has over 19 years in billing and insurance. Marquitta has been in dentistry for the last 8 years and absolutely loves what she does. She is loving being part of the Smiles Team. Camesha Gales is a dental assistant. She did her externship here at Dr. Marrio Smiles, and graduated with honors from Concorde. Her credentials are in coronal polishing and sealants. 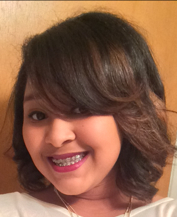 Camesha’s willingness and great personality earned her a spot at Dr. Marrio Smiles. Camesha states she loves her job and is grateful for the opportunity to work with such caring people.